The image below is from a patent for a ship propulsor called a Mallory propeller, or a "Mallory propulsion, and steering system". It is, in essence, a 19th century version of an azipod and designed to provide maximum steering capabilities for steam torpedo vessels. The entire system rotated about the vertical axis, enabling thrust to be directed as needed. 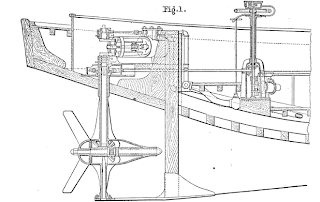 An 1882 official naval engineering review of the Mallory system was very favorable, extolling its maneuverability and minimal crew handling requirements. 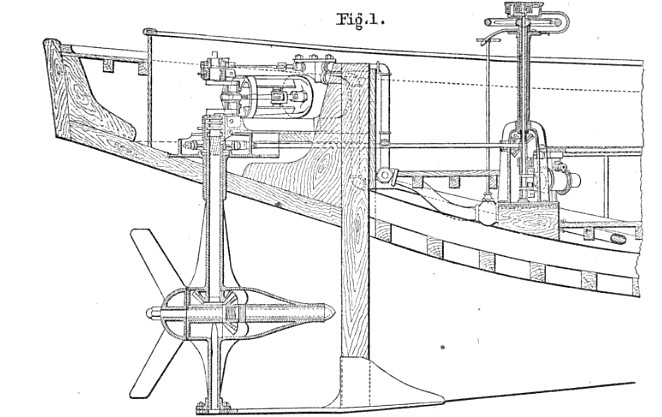 The patent was later amended to use two counter-rotating propellers in an effort to improve efficiency.